Winter is around the corner and time to prepare your skin and body for the change in weather is now. It takes a minute for the body to adapt to the drop in temperatures. We often get overwhelmed and then rely on extensive routines or expensive products to gain the soft and supple skin back. Being proactive and tweaking your meals and skin care can help you stay moisturized and hydrated for the season. The time to start taking care of your skin is not when it has already cracked is barely keeping up with the cold, instead it is now. Start changing your foods to meet the season and add NIVEA® Body Lotion to your routines to get deeply nourished skin for up to 48 hours. You can click on the image below to shop directly! - Up your water intake for hydrationEarlier this year I had set a goal to drink at least 90 ounces of water (or my body weight in ounces) and I am proud to stay that I have been able to stick to that goal for the past nine months. However, if you are someone who struggles to get in 8 glasses of water minimum, this would be a time to change that. You can either buy a new bottle to motivate yourself to drink more water, or set an alarm for every 2 hours you are awake to have a glass of water no matter what. The body needs hydration in order to stay soft and supple on the outside. - Add healthy fats to your dietWe all usually run away from fats but new research and information states that 'good fats' are actually good and needed for a healthy body. Here are some of the foods I take for a natural glow, but you can add a whole not of good fats to the list such as nuts, cheese, chia seeds and more. - Take care of skin with NIVEA® Body LotionLast but not the least get diligent and regular about daily moisturizing. A lot of people only think about lotions and creme when they notice dryness. However, the secret is to start using deep moisturizing lotions as soon as the first day of fall. Which brings me to one of my all time favorite beauty brands, one which I have been using since I was a kid: NIVEA. They are introducing a 48hr Deep Moisture Serum – a new formula designed to provide deep, nourishing moisture to your skin. Now you can find the NIVEA® Body Lotions with Deep Moisture Serum – in three different varieties: Essentially Enriched, Shea Daily Moisture and new Aloe Vera. My favorite of all three is the new Aloe Vera. You know I am always talking about nourishing the body from inside out. When it comes to wellness and beauty, everything is connected. When you eat well, you feel well. When you look great, you feel great. Rite Aid is can be your coach as you make the right choices for you this season. They can be your guide. They have an array of products in every aisle to help you on your wellness journey. Don't forget, you can save up to $16.50 with coupons via printed brochure in select stores and Load2Card coupons on riteaid.com. I'll be taking all these ways to stay moisturized to heart. My skin gets so dry in the winter, so I like to start early on the extra moisture regimen. 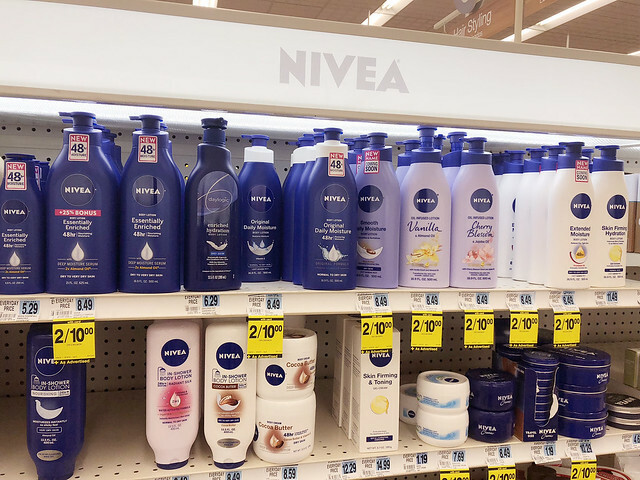 I have been using Nivea body lotion for years and all year round, not just for winter season. It never fail to give me deep moisturizing into my skin. Really great tips! That Nivea lotion looks wonderful! That is so cool, love the tips, they all came at the right time. Thanks a lot! These products look amazing! I LOVE Nivea's skin care products! My skin gets so dry in winter. A good moisturizer makes all the difference. Nivea is a great product but it can't do it all. Your suggestions were spot on. My skin gets so dry during the Fall and Winter months. Definitely need to pick these up! I have never tried to use this products but it looks like a good and your tips are so perfect for this season. Winter can be SO drying! 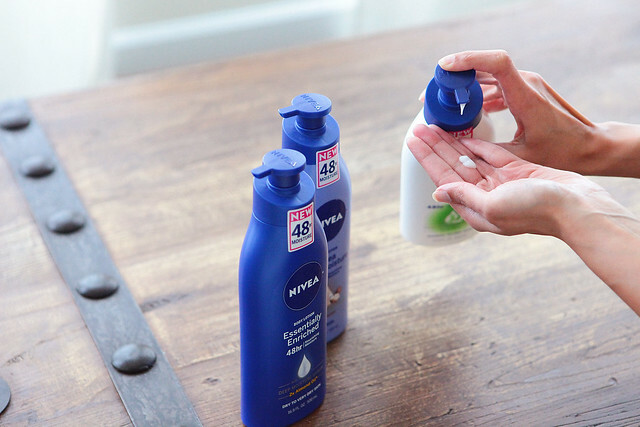 I always ensure to up my water intake during the season and Nivea products are what I swear by - they're fab! Nivea is one of my favourite brands. I have been using it for years now and I have no complaints. Skin care is so important and moisturizing is part of my skincare. Nivea is an amazing product, economical and reliable. Great tips! I always get a dry forehead in winter so always moisturise more and drink more water. We're Nivea users. It's definitely a brand we can trust and it never failed us. SO much yes to all these tips! I've been using the Nivea lotion and have been loving it-- it moisturizes my skin so well without that funky greasy feeling. I need to be better about drinking water because my skin seems to always be drier than it should be haha. I am already a nivea user and I plan to continue to be. Nivea is such a great brand! We use it in my family for generations! I love the tips! Staying hydrated is so important! Also love this lotion! ooh yes! I always change to heavier lotion in the winter! I will have to check this brand out! I am constantly putting lotion on to keep my skin hydrated! Serums also work really well too! This sounds like a great way to stay moisturized. I've been wanting to find a new lotion to try this sounds great! My skin always gets so dry in winter. Thanks for these tips and this lotion sounds great. I love NIvea products, they are so rich and hydrating, perfect for the colder months ahead.